High Country Tree Service is dedicated to protecting and preserving the namesake trees of Biltmore Forest. 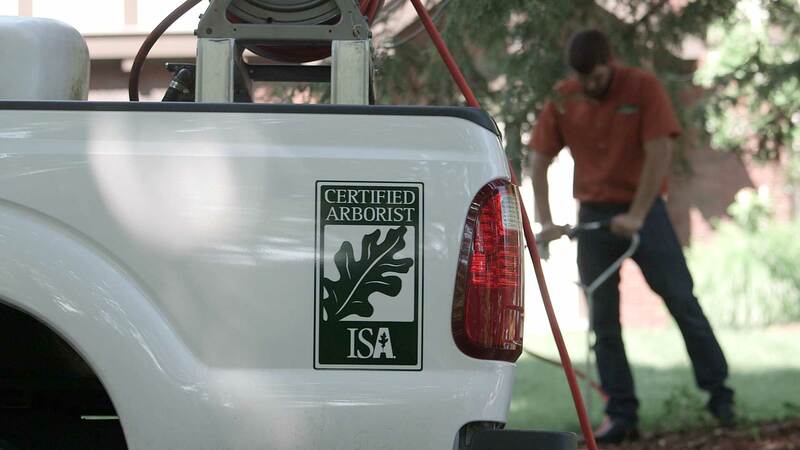 Our professional staff brings the experience necessary to increase the property value of your home through attention to detail, preventive maintenance, and state-of-the-art techniques only available from a certified arborist. In accordance with the regulations of Biltmore Forest, we work closely with the Town Administrator to abide by codes and covenants including carrying general liability and workers’ compensation insurance. Preserving your landscape is an ongoing process that requires regular assessment of the trees on your Biltmore Forest property. High Country Tree Service has the experience and equipment to identify and address problems before they become a risk to your home. Our certified arborists will assess trees for potentially dangerous limbs and lightning strike hazards. Using a state-of-the-art Resistograph, High Country Tree Service has the ability to safely assess the core of the tree—a process that prevents erroneous removal of healthy trees and identifies problem trees that appear healthy from the outside. Hemlocks are stately evergreens native to Biltmore Forest and the Blue Ridge Mountains. These valuable evergreens provide year-round shade and privacy screening, but have become increasingly rare due to an invasive species. Hemlocks in Biltmore Forest are at risk of infection by the Woolly Adelgid, a pest native to Japan that has threatened the eastern hemlock population. High Country Tree Service specializes in preventive treatments and early detection of Wooly Adelgid. Monitoring and care for the hemlocks of Biltmore Forest is crucial to the preservation of biodiversity in the region. The experts at High Country Tree Service understand the careful balance of forest and open space that adds value to your Biltmore Forest property. Sensible tree removal and pruning can enhance the view from your home, let in light, increase airflow, and reduce competition among healthy trees. Our team brings the experience and knowledge necessary to responsibly enhance the view from your home while preserving the iconic landscape of Biltmore Forest. "Thanks High Country Tree Service! We were treated like royalty." "I wanted to take a minute to thank you and your crew for doing an outstanding job with our tree removals."